Available at Multiple Locations. Starts 10/19. Cities and Sports is now offering Boot Camp Fitness to its members through a partnership with The Rise Fitness Bootcamp. 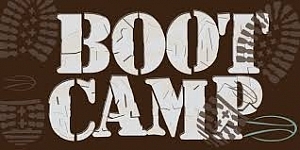 Join a 12 week boot camp session for just $150 total. You won't find this special offer anywhere else. No matter what your fitness goals are or what your current physical capabilities might be, The RISE can help you succeed. While accessing key components of training, they invite you to challenge yourself and support your journey to each new powerful level of personal victory.